The beloved Soft Hackle Pheasant Tail has been upgraded with a tactical jig hook. 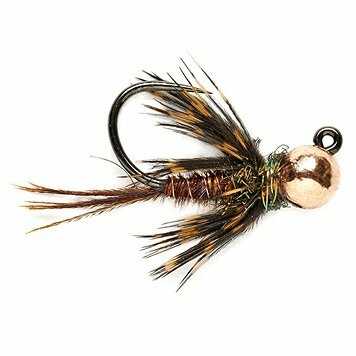 Suitable for tailwaters or freestones, this can imitate either a mayfly nymph or a small stonefly. Soft hackle adds a bit of eye-catching movement, and the tungsten bead head means a quick drop in the water column. Best fished as part of a nymph rig or floated as a dropper below a dry fly. Tactical hook is barbless and features a claw point. Sold in eaches.